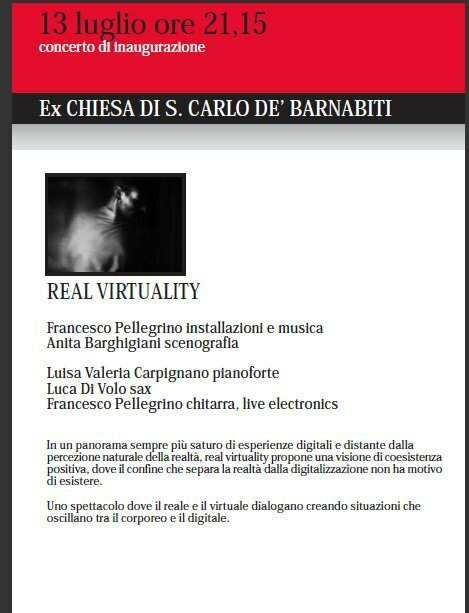 Real virtuality is a performance with acoustic instruments, electronics, structures and live management of scenic lights. 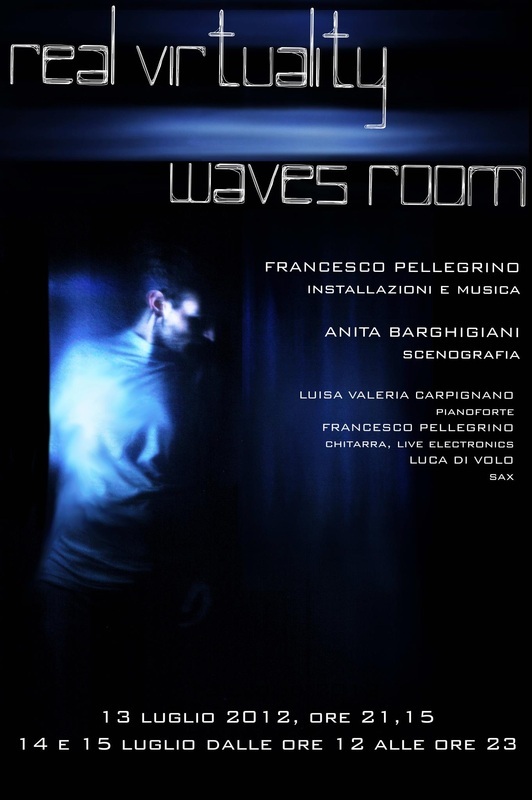 In this performance the live instruments are digitally modified (live electronics) and cooperating in the management of the lights. The construction and programming of the light management has been done by the author. This work was presented as part of "The sands of time" July 13, 2012 at the former Church of St. Carlo dei Barnabiti in Florence.two musicians (Francesco Pellegrino - guitar and Luca di Volo - Sax) are inside two structures expressly created for the performance, with scenography by Anita Barghigiani; this structures using music - controlled LEDs (with Max/MSP) and fabric have the possibility to make the musicians disappear following their music. Luisa Carpignano, on piano is in the middle of the light "cages". The performance is about constructing an environment witch fuse the real and the virtual side both in sound and visual. Quest'opera è stata rilasciata con licenza Creative Commons Attribuzione - Non commerciale - Non opere derivate 4.0 Internazionale. Per leggere una copia della licenza visita il sito web http://creativecommons.org/licenses/by-nc-nd/4.0/.